The statement copied below - calling for an end to the illegal use of the death penalty for drug offences was read out by Eka Iakobishvili (Human Rights analyst for the International Harm Reduction Association) as an NGO representative (via the Vienna NGO committee on drugs) at yesterday's pleanry session of the UN Commission on Narcotic Drugs. "The International Covenant on Civil and Political Rights specifies that in countries which have not abolished the death penalty, the sentence of death may be imposed only for the “most serious crimes”. The concept of “most serious crimes” is limited to those where it can be shown that there was an intention to kill which resulted in the loss of life. The weight of opinion indicates that drug offences (such as possession and trafficking) and those of a purely economic nature do not meet this threshold. Moreover, States that have abolished the death penalty are prohibited to extradite any person to another country where he or she might face capital punishment." "Despite such prohibitions, a considerable number of the 47 retentionist States that continue to use capital punishment have carried out executions for drug offences in recent years. In some of these countries, drug offenders constitute a significant proportion of total executions As an entity of the United Nations system, UNODC advocates the abolition of the death penalty and calls upon Member States to follow international standards concerning prohibition of the death penalty for offences of a drug-related or purely economic nature. However, as IHRA have demonstrated with their groundbreaking death penalty publications, the illegal use of the death penalty for drug offences remains widespread, with an estimated 1000+ such executions taking place annually, some even resulting from arrests made under UNODC funded enforcement projects. We are grateful for the opportunity to speak on this important agenda item. We heard yesterday from UNODC of the seizures of illicit substances made in many parts of the world. While looking at the statistics on tonnes and kilos, we must also recognise the human face of such seizures. We must consider the penalties that will be applied to those who are arrested and prosecuted. This is not to excuse criminality – but nor can we excuse the taking of human life for any crime. The death penalty for drug offences is a violation of international law. This is clear. Yet 32 jurisdictions retain this excessive and cruel punishment. The International Harm Reduction Association has identified hundreds of executions annually for drug-related offences but believes that as many as one thousand people may be executed for drug offences each year when states that keep their death penalty statistics a secret are counted. The justification for this is usually deterrence. This is a faulty argument that has been presented many times over, and for a range of crimes. While nobody should be executed for any offence, the vast majority of those known to be sentenced to die for drugs are not kingpins or major traffickers. They are carriers. Very often involvement in this aspect of the drug trade is driven by poverty, drug dependence and a lack of options. To kill these people is cruel in the extreme. Our call is brief. All States must cease the application of the death penalty for drug offences, and, indeed, for all offences, and immediately institute a moratorium to spare the lives of those on death row." The 'war on drugs' is a policy choice. There are other options that, at the very least, should be debated and explored using the best possible evidence and analysis. We all share the same goals – a safer, healthier and more just world. Therefore, we the undersigned, call upon world leaders and UN agencies to quantify the unintended negative consequences of the current approach to drugs, and assess the potential costs and benefits of alternative approaches." “In 1961 UN member states gathered to sign the Single Convention on Narcotic Drugs, the legal cornerstone of the enforcement-led approach that has become known as the global war on drugs. Fifty years later, with literally trillions of dollars spent, illegal drugs are one of the largest commodity trades on earth. Even the UN Office on Drugs and Crime that oversees the global drug control system, concedes that drug enforcement efforts have fuelled the creation of a vast criminal market with disastrous negative unintended consequences. The War on Drugs: Count the Costs campaign launch is backed by: International Drug Policy Consortium; International Harm Reduction Association; Eurasian Harm Reduction Network; Drug Policy Alliance (US); Espolea (Mexico); Release (UK); Transform Drug Policy Foundation (UK); Hungarian Civil Liberties Union; CuPIHD (Mexico); Transnational Institute (Netherlands); International Centre for Science in Drug Policy (Canada); New Zealand Drug Policy Foundation; Washington Office on Latin America. The fourth unintended consequence is what one might call substance displacement. If the use of one drug was controlled, by reducing either supply or demand, suppliers and users moved on to another drug with similar psychoactive effects. 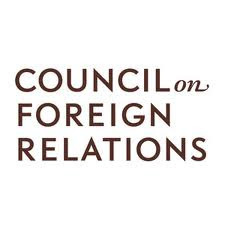 A new report from the US based Council on Foreign Relations titled 'The Drug War in Mexico: Confronting a Shared Threat' makes a powerful critique of the ongoing enforcement-led US response, before calling for a more pragmatic approach built more around development and public health interventions. The report specifically calls for a Government inquiry into the potential costs and benefits drug legalisation, and for the Federal government to allow state level experimentation with the legalisation, taxation and regulation of cannabis/marijuana. Mexico’s security crisis illustrates the limitations of current anti-drug strategies and offers an opportunity to shift the paradigm to a more sensible approach. 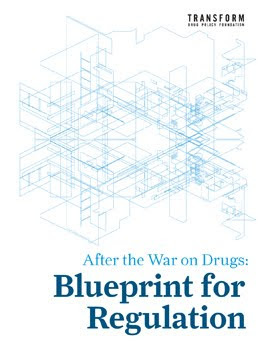 Over the last four decades, the war on drugs has lacked clear, consistent, or achievable objectives; has had little effect on aggregate demand; and has imposed an enormous social and economic cost. A state-driven, supply-side, and penalty based approach has failed to curb market production, distribution, and consumption of drugs. The assumption that punishing suppliers and users can effectively combat a large market for illicit drugs has proven to be utterly false. Rather, prohibition bestows enormous profits on traffickers, criminalizes otherwise law-abiding users and addicts, and imposes enormous costs on society. Meanwhile, there has been no real effect on the availability of drugs or their consumption, and three quarters of U.S. citizens believe that the war on drugs has failed. One flaw of current U.S.-Mexico strategy is the false presumption that international trafficking of drugs, guns, and cash can be effectively addressed through interdiction, particularly along the nearly two-thousand-mile U.S.-Mexican border. After a three-decade effort to beef up security, the U.S.Mexico border is more heavily fortified than at any point since the U.S.-Mexico war of 1846–48. The United States has deployed more than twenty thousand border patrol agents and built hundreds of miles of fencing equipped with high-tech surveillance equipment, all at an annual cost of billions of dollars—with $3 billion per year spent on border control alone. While this massive security build-up at the border has achieved maximum attainable levels of operational control, the damage to Mexico’s drug cartels caused by border interdiction has been inconsequential. Meanwhile, there have been several unintended consequences of heightened interdiction at the border, including added hassles and delays that obstruct billions of dollars in legitimate commerce each year, the expansion and increased sophistication of cross-border smuggling operations, and greater U.S. vulnerability to attacks and even infiltration by traffickers. Further efforts to beef up the border through more patrolling and fencing will have diminishing returns, and will likely cause more economic harm than gains in security for the struggling communities of the border region. Given the limits of U.S. drug policy, there is a need for more information and analysis to weigh the costs and benefits of current efforts against alternative policy options. For example, one recent study suggests that legalizing marijuana would cause as much as $1 to 2 billion in losses for Mexican drug traffickers, since competition from legally registered producers would drive them out of the business. Since these DTOs would continue to smuggle other profitable illicit drugs, the main benefit of marijuana legalization would be to allow U.S. border security and law enforcement to focus their resources on other problems. Of course, while support for this idea is growing, the potential hazards and limitations of drug legalization are substantial. Legalization would almost certainly cause drug traffickers to move into other illicit activities to maintain profitability, so U.S. and Mexican authorities would still need to develop better measures to combat kidnapping, robbery, extortion, and other forms of organized crime. Meanwhile, as with other controlled substances, like tobacco and alcohol, increased recreational drug use would likely result in widespread use and significant social harms in both countries, including traffic fatalities, fatal overdoses, addiction, and chronic health problems. Any effort to legalize drugs would need to proceed with careful study, ample deliberation, and due caution. Yet, with or without legalization, authorities should work with greater urgency and focus to develop public health and law enforcement measures to prevent, treat, and reduce the harms associated with drug consumption. In the end, treating drug consumption and organized crime as separate problems will make it possible to address both more effectively. To make this possible—and before other countries or even some U.S. states venture further down the road toward drug legalization—the U.S. federal government should move quickly to examine the current approach and chart a course toward a more effective drug policy. caused by drug consumption and abuse. To allow policy experimentation, the federal government should permit states to legalize the production, sale, taxation, and consumption of marijuana. While testing this policy shift, authorities should redirect scarce law enforcement resources to focus on the more damaging and socially unacceptable drugs (like heroin, cocaine, and methamphetamine) from which Mexican DTOs derive more than 70 percent of their drug proceeds. The first of these calls is in line with Transform's call for current drug policy and alternatives to be subject to meaningful scrutiny in the form of an Impact Assessment. We would question the wisdom of directing resources towards more risky drugs proposed in the second (no more likely to succeed, and just as likely to lead to unintended negative consequences as any prohibition where demand is already established) but the call for an experiment in legalisation and regulation of cannabis is still an important one for an influential body such as the CFR to be endorsing. Most people would assume that professional pollsters understand the importance of how their questions are worded. If you want to obtain valid results from your poll, you need to make sure that your questions represent both sides of an issue fairly, without any latent bias in their wording. (1) Do you favour an increase in the level of tax you pay on your income? (2) Do you favour greater investment in public services such as healthcare, education and policing? Obviously the two questions are different sides of the same coin, but if you only ask the first, you’re likely to get an overwhelming ‘no’, and if you only ask the second, you’re likely to get an overwhelming ‘yes’. Predictably, therefore, how a question is phrased, or the context in which it is asked, affects the answer you will get to it (as ‘Yes, Prime Minister’ brilliantly satirises in the scene below). Pollsters appear to understand this concept when it comes to most issues – but rarely with drug policy reform. If you look at the findings of an Angus Reid public opinion poll conducted last year, then you may feel disheartened at the lack of public support for a more progressive UK drug policy. In that poll, participants were shown a list of banned substances, including cannabis, along with the question ‘Do you support or oppose the legalisation of each of the following drugs?’. Part of the problem relates to the visceral aversion, embedded in the public consciousness, to the word ‘legalisation’. This aversion is largely based on confusion about what the term means when used in the drugs debate. The confusion is not surprising; it stems from the fact that legalisation is merely a process (broadly of making something illegal, legal), rather than a policy end point. A straight ‘Legalisation: yes/no?’ question gives no indication of how the legal regulatory regime being advocated as the final outcome of the process might actually work. In the absence of such policy context just saying ‘legalisation’ on its own can reasonably be taken to suggest the removal of all controls – moving to the sort of commercial free market that Transform and most drug law reform advocates are specifically not calling for. 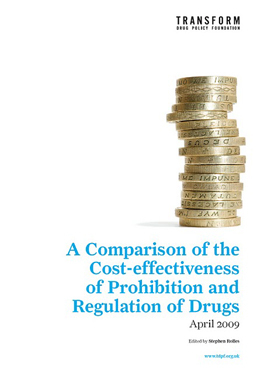 The legalisation question without any policy or regulatory context can also be confused with a question about personal or moral approval of drugs or drug use (in effect, ‘Do you approve of/condone the use of “drug x”’), as opposed to the real question, which is about what one thinks is the best policy response to dealing with a particular drug or drugs in society. We may, for example, disapprove of unhealthy food or overeating without suggesting blanket prohibitions on pork scratchings, or criminal punishments for people who eat too many of them. If we want to know whether people morally approve of certain drug-using behaviours then it would be fine to ask a question about that. If we want to know what form of legal regulation people think would be appropriate for certain drugs or drug-using behaviours then we need a better question than ‘Legalisation: yes/no?’. As a starting point, instead of using only the word ‘legalisation’ in opinion polls on drug policy reform, it might be more appropriate and accurate to ask people whether they support or oppose ‘legal regulation of drug production supply and use’, or ‘legalisation and regulation’, which would be better, if still imperfect. What is really needed, however, is a more specific and detailed description of the policy options people are being asked to chose from. This semantic minefield of drug policy terminology is made all the more perilous by misunderstandings of the word ‘decriminalisation’. Instead of conflating the meanings of ‘decriminalisation’ and ‘legalisation’, as so often happens in media debate, pollsters should be aware of and clearly clarify the distinction between the two terms. The term ‘decriminalisation’ is usually understood to refer to the removal of only criminal penalties for certain activities (most commonly possession and personal use of drugs), but not of other, non-criminal sanctions, such as fines. 'Legalisation', by contrast, refers to a transition from prohibited to legally regulated production, supply and availability, with decriminalisation of use implicit in this process. Neither term, unfortunately, has a strict legal definition, so they are subject to frequent confusion, often being used interchangeably. The only solution to this misunderstanding is to refrain from using the words in isolation and, again, contextualise them with some clear and concise explanatory text, eg: ‘Decriminalisation – moving from criminal to civil/administrative sanctions such as fines, for personal possession and use’. When you look at polls which are more aware of the nuances of drug policy language, the results are strikingly different and give reason to be considerably more optimistic about the prospects for reform. Now without claiming this formulation is methodologically bulletproof, it does demonstrate that when given a clearer overview of the features of each option, it seems that, contrary to the findings of the less comprehensive Angus Reid poll, respondents are increasingly receptive to the idea of moving from absolute prohibitions to some method of legally regulating drug markets and availability. The results of the LDDPR poll were that 70% of participants favoured some form of legal regulation of cannabis, with one in three of those polled favouring a regulatory system similar to that for tobacco and alcohol. It also emerged that, when compared to the results of the Angus Reid poll, a far greater number of people would like to see the legally regulated availability of ecstasy (39% vs. 19%), cocaine (36% vs. 16%) and heroin (30% vs. 18%). Perhaps emphasising just how much of a difference good polling can make, the LDDPR survey also made the somewhat unexpected finding that Daily Mail and Daily Express readers constituted the demographic most in favour of the strict control and regulation of drugs. Total support for at least some system of legal regulation was 66% among these readers, and 67% among Conservative voters. Clearly more work in this area is needed (perhaps with some independently agreed formulation for the questions), but Ewan Hoyle, the founder of LDDPR, has highlighted the importance of asking the right questions when trying to establish the public’s views on drug policy reform. Interestingly, his conclusion – that ‘…when asked to choose between various regulatory options, the British people are comfortable with strict control and regulation as a solution to our drugs problem’ – also seems to apply to the American people, too. An Economist-YouGov poll carried out last month asked respondents to agree or disagree with the statement ‘Marijuana should be legalised, taxed and regulated’. In every age group polled – even over-65s – more people favoured than opposed legalisation. Although it is hard to say definitively, it seems reasonable to suggest that this is due to the mention of the more public-friendly measures of taxation and regulation – measures which, although they go hand in hand with legalisation, are so often omitted in opinion polls on drug policy reform. The above graph, compiled by polling guru Nate Silver, amalgamates all the data he could find on the issue of the legalisation of cannabis/marijuana – including the results of several Gallup polls and the General Social Survey – and shows that there has been an upward trend in favour of such a move since 1990. Consequently, while especially encouraging findings emerge from polls that provide a more comprehensive overview of what drug law reform might actually entail, even the findings of polls that do not give a sufficient account of the options for reform show a sustained, long-term increase in support for more progressive drug control measures. The story with regard to cannabis was roughly similar in the UK until the mid-2000s, since when support has dropped from between 40-50% (up from 15% in the 1980s), to between 30-40% today. Speculating as to why this has happened is for another blog, although it probably reflects the shifts in the nature of the UK cannabis market towards stronger varieties and the associated health concerns raised, or arguably hyped, by the media and politicians during the interminable cannabis re-re-classification saga. It may also reflect the fall in use noted by the British Crime Survey over the same period. Hopefully the growing support more broadly – in the UK and elsewhere – will reassure policymakers and politicians that the legal regulation of currently illegal drugs is not only practical but politically possible. Remember that the steady change in public opinion has happened despite, until very recently, near universal political and media hostility. If any major political forces got behind reform it seems likely that things would change much more quickly – it's a question of who wants to pick up the baton and claim the plaudits. 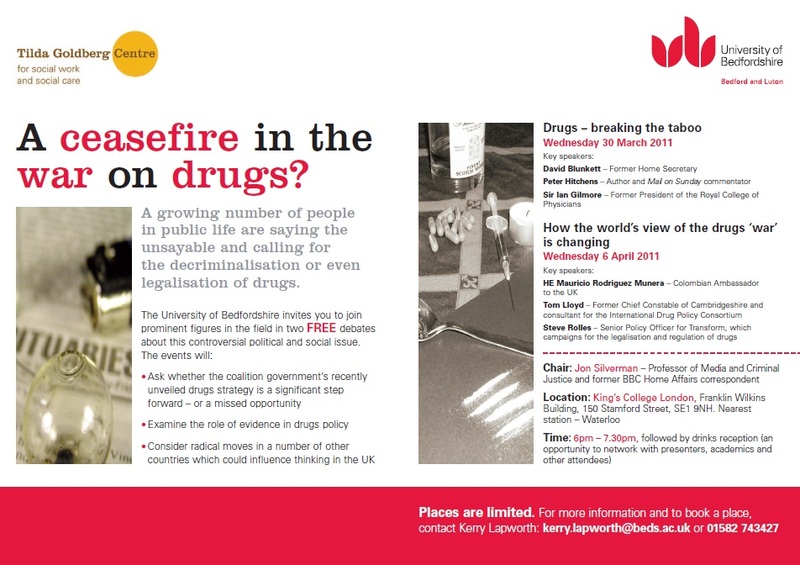 Transform's senior policy analyst, Steve Rolles, will be amongst the speakers at the second event in the 'Ceasefire in the war on drugs?' debate series organised by the University of Bedfordshire, joining former chief constable Tom lloyd, and the UK's Colombian Ambassador Mauricio Rodriguez Munera. Titled 'How the world's view of the drugs 'war' is changing', the event is at Kings College London at 6pm on the 6th of April. The event is are free and open to all (but space is limited). For more details, including speakers at both events, please see the flyer below (click to see full size).